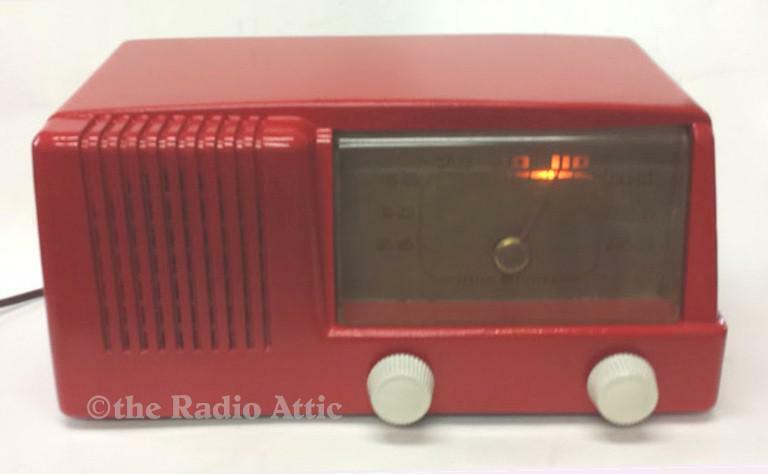 AM radio in Plaskon case painted red. Features "Dial Beam" tuning where a spotlite follows the pointer dial. Plays well after restoration including replacement of paper and electrolytic caps and needed tubes and components. Will be carefully packed to ensure safe shipment. Will make a nice gift or addition to your collection. 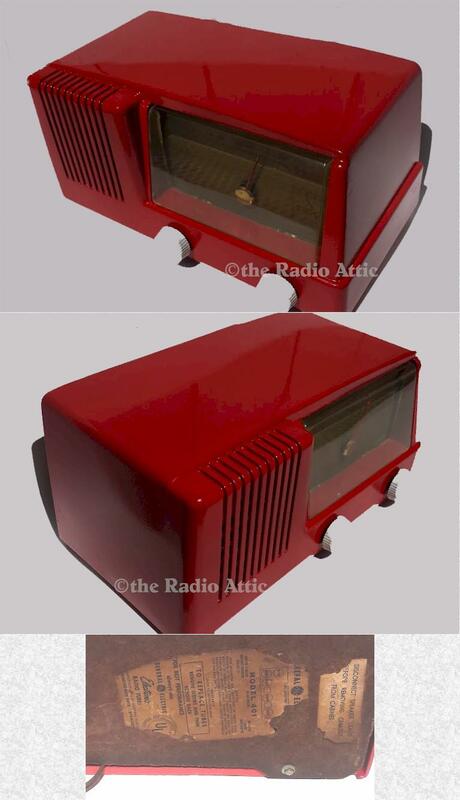 Click here to see a video of the radio playing and the "Dial Beam" feature. 12"W x 6"H x 7"D.